Charter a yacht in the world’s most luxurious sailing destination - France. 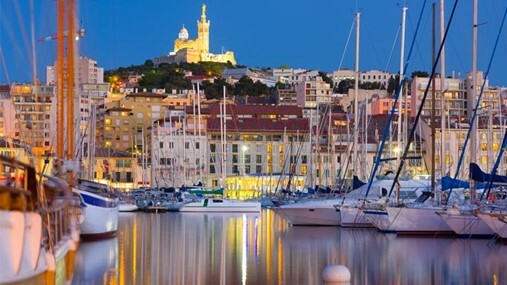 Cruise in four beautiful sailing regions: French Riviera, Corsica, Marseille and La Trinité-sur-Mer. 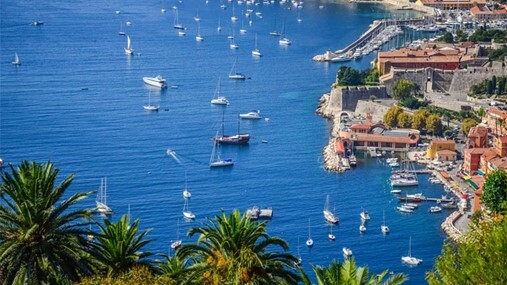 It is the French Riviera that attracts the most sailors because of a perfect combo of mild climate, picturesque landscape and great sailing conditions with small tides. 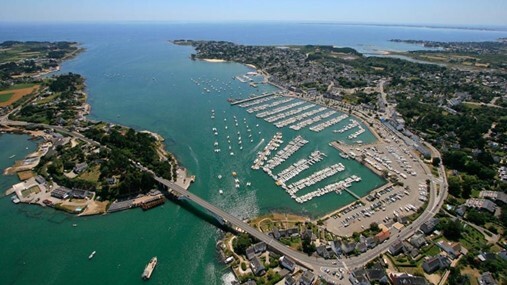 More experienced sailors might opt for sailing in the north of France - the English Channel and the Bay of Biscay. Saint-Tropez will amaze you with exclusive beach clubs, designer stores and its famous clock tower. Do not miss an opportunity to see Picasso’s art in the Musée Picasso in Antibes, an ancient Greek and Roman fortified town. Taste first-class food from three Michelin-starred restaurants in Cannes and feel the life of film celebrities. Enjoy upscale casinos and ornate Salle Garnier opera house in Monaco. All these destinations have become synonymous with opulence, glamour, fashion and luxury yacht charter. With a classic single-hulled sailing yacht designed with performance in mind, you will have optimal control in one of the most diversified sailing regions in Europe. Our fleet ranges from compact 35-footers to spacious 65-footers to meet all your needs. The boats are equipped with a bow thruster, so you will not feel restricted when mooring in crowded marinas. The French Riviera is perfect for beginners and those looking to relax. More experienced sailors can choose a bareboat yacht charter, but we recommend a skippered yacht charter to have more leisure time for enjoying glamorous destinations, stunning landscape and palm trees on sandy beaches. Glide effortlessly through the calm clear seas of the vibrant and dynamic French Riviera in one of our charter catamarans. 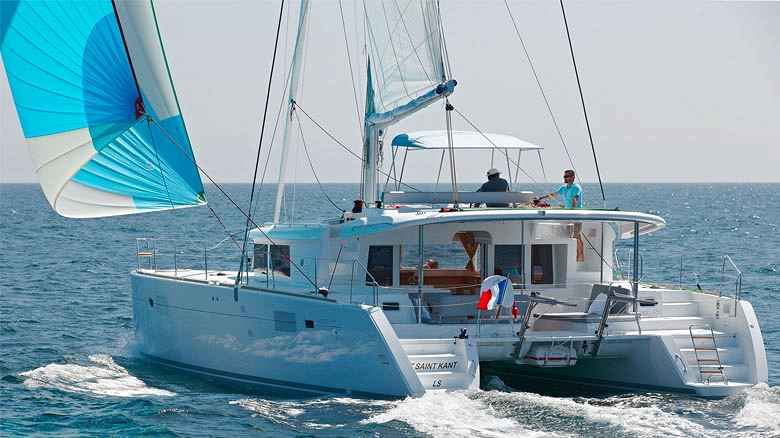 Enjoy superb weather conditions on a spacious and comfortable multihull yacht with a shallow draft that enables anchoring close to plenty of nice beaches along 3,000 kilometers of the French Mediterranean coastline. Catamarans are more pricey than monohulls, but they provide you with two hulls and more interior space, implying that comfort is on a very high level. Create your own tempo by opting for a bareboat yacht charter or choose a skippered yacht charter to get more information from a skipper about quieter spots, such as off-lying islands, delicious local cuisine and adventurous water sports. The skipper will pay attention to the Mistral winds, while you feast on a clear view of the Alps and luxuriate in captivating marinas Grimaud, Le Lavandou and Saint-Raphaël. 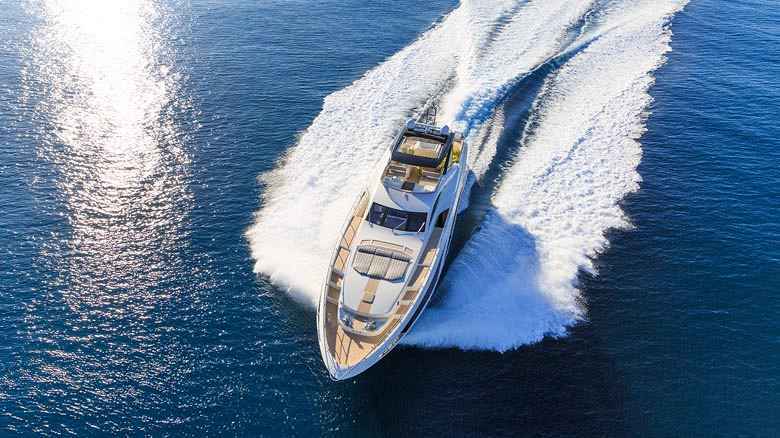 Discover the best anchorages, restaurants and beach clubs in a luxurious motor yacht designed to give you best performance and freedom to travel fast to remote locations. 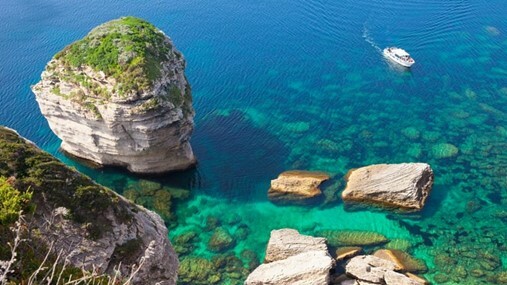 Sail to the island of Corsica that offers dramatic scenery with steep cliffs, and moor in Ajaccio, the birthplace of Napoleon Bonaparte. Treat yourself with the lavishing VIP life of Saint-Tropez and Monaco. Lounge on the flybridge feeling a warm morning breeze, swim in warm waters, sunbathe on a stern platform, take part in watersports and eat tasty Mediterranean food. Get an impressive sight of Massif de l’Estérel, a coastal mountain that offers hiking, horseback riding and mountain biking. 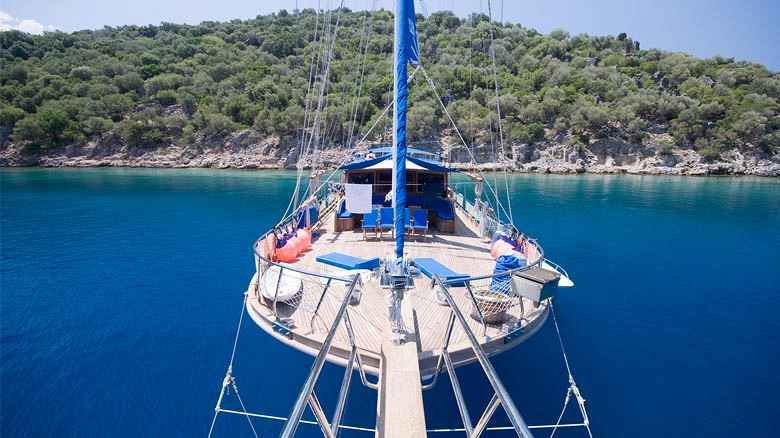 Connect gulet’s rich history and contemporary French lifestyle when booking a crewed luxury gulet. A skipper and a deckhand will take care of technicalities and navigating the seas, while a cook and a hostess will serve you gastronomic delights. Explore diverse marine life, picturesque ports and offshore islands on easy-to-cruise gorgeous coast. Take a swim whenever you like in crystal-clear water, bask in the warm sun and witness beautiful sunsets while enjoying a glass of exceptional French wine and different types of cheese. 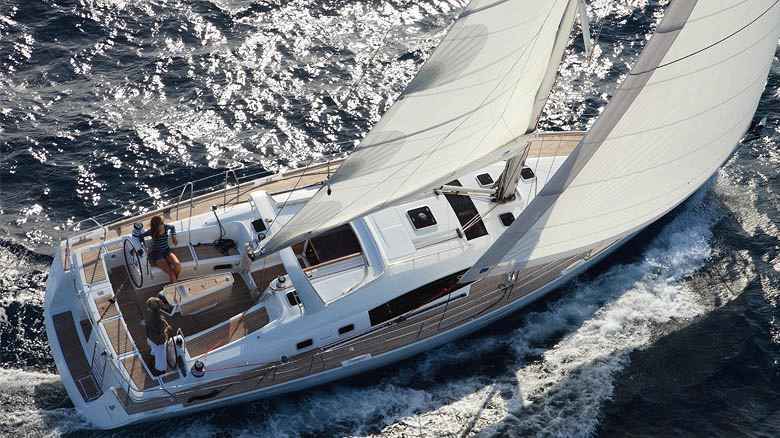 Bareboat yacht charter in France is great for both novice and experienced sailors. Novice sailors can stick to the Mediterranean coast which offers more favourable sailing conditions, where experienced sea wolves can sail the English Channel. Skippered yacht charter is a great solution where a local skipper’s extensive knowledge will lead you safely to magnificent maritime locations of France. Whether you will be sailing in the Mediterranean or on the north, you will absorb rich history and breathtaking landscapes during your journey. It is advisable to hire a skipper when sailing in the English Channel. Crewed charter in France will spoil all your senses. A captain is steering the yacht to the hidden private bay, a deckhand is handling all the ropes and systems on the yacht, a hostess is keeping the boat tidy and a cook is preparing delicious Mediterranean delights. With such a crew, your mission is to experience an ultimate vacation. 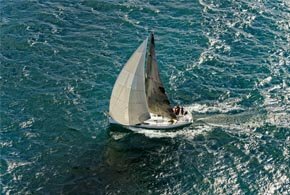 Flotilla sailing holidays - if you want to take your company for a team building or you can’t fit all your friends to one yacht, we have a solution for you. Sail out with two, five or even ten sailing yachts, and share that sailing sensation with all of your friends and colleagues. Imagine ten sailing yachts anchored in a picturesque bay and spending the night there - that is something you have to be a part of.